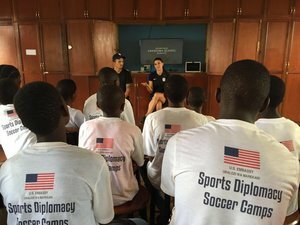 Olympic Gold Medalist and FIFA Women’s World Cup champion Alex Morgan and Orlando City SC midfielder Servando Carrasco of Major League Soccer are traveling to Tanzania on December 2-9 as U.S. Department of State Sports Envoys. The Sports Envoys are helping to bolster the United States’ cultural and social ties with the youth of Tanzania, including the Maasai people living at the foothills of Mount Kilimanjaro. Additionally, Morgan and Carrasco will hold soccer clinics and speak with students from schools in Dar es Salaam and Zanzibar. The Sports Envoys will also visit two all-girls soccer programs to highlight the importance of providing equal opportunities for all. Nike has donated soccer balls to schools and participants in support of this program. 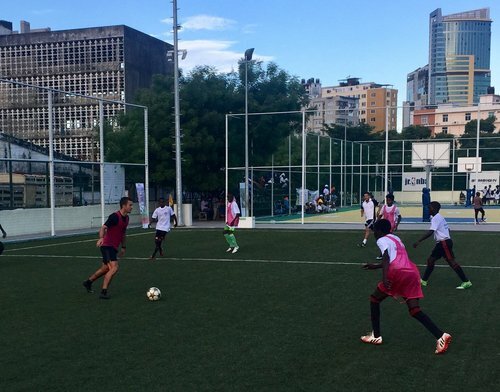 This Sports Envoy program’s focus on girls and women in sports also builds on the “Equal Playing Field” initiative, which in June 2017 saw 30 women from six continents, including previous U.S. Sports Envoy Lori Lindsey, play the world’s highest soccer match at 18,747 feet (5,714 meters) on Mount Kilimanjaro.